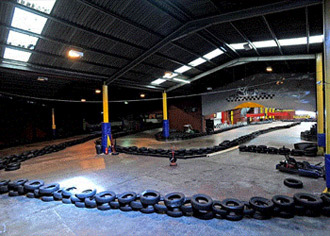 Prestige Karting is one of the largest indoor go karting centres in the North of England, Lancashire. The Circuit is approximately 360 metres long and claims to be one of the most demanding go karting tracks in the UK. The track has been designed by professional motorsport drivers to create an indoor circuit to challenge the skills of the customer. The marshals are fully trained to NKA standard and the centre is equipped with a fume extraction system. Head northwest on Trafalgar Street/A671 toward Cranmer Street and continue to follow A671 through one roundabout then at the next roundabout take the 4th exit on to the M65 ramp to Keighley/Skipton/Colne/Nelson. Merge onto M65 then at the roundabout take the thirrd exit on to Whitewalls Drive/A6068. At the next roundabout take the first exit on to Burnley Road/A56 then turn left onto Holker Street.